I was nineteen when I fell pregnant with Cody. 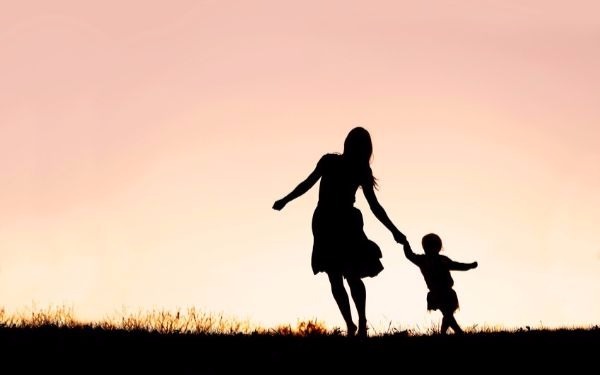 Despite everything I’d been through in my childhood, including being taken into care at the age of 10, I knew that I had what it takes to be a good parent. My experience of being in care wasn’t great and there was no way that I would let that happen to any child of mine. I still don’t know how children’s services found out that I was pregnant. When I was fifteen weeks my support worker phoned and asked if she could see me. That’s when things started to go wrong. Instead of offering support it felt like she was constantly issuing threats. I was living on £200 a month at that point and I wanted to start saving some of that money to buy things for the baby. I asked her food vouchers. Her response was that if I carried on like that I would end up having my child taken away. The next thing I knew, my unborn child had a social worker. I was 16 weeks pregnant. From the first meeting I felt the social worker was very negative towards me. On the basis that I’d asked for food vouchers she also told me that it wasn’t good enough that I couldn’t budget for myself. I felt so trapped that I asked my support worker for an advocate. That’s how I meet Sophie, an advocate with an organisation called Just For Kids Law. I started to get Sophie to do all the talking in my meetings because by this point so much anger was building up. When I felt I couldn’t communicate she did the talking. Sophie was amazing. She also asked for help with things I hadn’t even thought of mentioning, like housing. In late 2016, after a 23 hour labour, Cody was born. I couldn’t pick him up at first because I was so worried they would take him away. But after 20 minutes of panic I thought, oh what the hell, he needs his mum. The day after I gave birth children’s services called a meeting. I was told I couldn’t leave the hospital with my son unless I agreed to go into a mother and baby foster placement and sign a Section 20 agreement that would bring Cody under local authority care. Luckily, Sophie knew that a Section 20 is intended to be voluntary and asked if we could take some legal advice before going any further. I feel that, if Sophie hadn’t been there to support me that day, there’s a high chance my child would have been taken from me. When Cody was 4 months old Sophie asked me if I’d like to be involved in making a film that would help other young parents in my situation. I jumped at the chance. At one of the first planning meetings I met Yasmin and Ashalene. That was really moving. I had had help at the right time and still had my child with me, but for both of these mothers it had come too late and their kids had been removed. Cody was taken off a child protection plan at six months old. I’m now really excited about our future and confident that I can create the kind of childhood for him that I wish I had had. And I am still working with Sophie and her colleagues helping other young parents that are finding themselves in the same situation as I did. Yasmin, Ashalene and I are really proud of the film we helped to make. It’s called ‘If I could talk to me’ and it captures how the current system can make you feel, but also encourages parents to reach out for that crucial support that for me came soon enough to lead to a happy ending. I am so encouraged to read this article but so disheartened by the support you did not receive from the profession I am part of. In my work I always approach families with empathy and whilst my job is to protect children I recognise that where-ever possible children should remain with their parents and I work closely with other agencies to ensure that the right support is provided to enable this to happen. I have been able to support so many families to effect change and thereby lead to children’s needs being met and I often say that when I stop caring that is the time to leave this profession. I have sought food parcels for families where they are struggling and would never see this as a negative. A parent asking for help and support is so positive! I am so encouraged that you are being supported by Sophie and I am thrilled that you have worked so hard to enable your son to be taken off his child protection plan. It is to your credit that you are also working to support other mums (and dads) and my heart is also for those who have their children taken into care. You sound like you are a fantastic mother who recognises the pain of historical issues and wants to make a difference for her own child. Amazing article and fantastic outcome. I wish you both happiness in your future together. Well done and thank god you had Sophie. Unfortunately leaving the care system and pregnant at 14 yrs and not managing financially, rings alarm bells for social workers. They have to take your best interests into account as well as your child’s.. babies are vulnerable and no one wants to chance the life of a baby.the result is that you have to prove that you are able to care for your child hence the mother and baby unit. I would advise anyone in your situation to co operate fully with your social worker.no SW wants to remove a baby from its mothers care. Neither do they want a neglected or even dead baby. For you it must feel intrusive. You have to prove yourself even though you feel you will be a good mum. You are young with little support. Being a mum is hard work. Babies are demanding and mum’s get tired. Better support for young mum’s is needed but it takes resources many local authorities do not have. And what category was the child placed on a plan? Did they intervene just because your a care leave? See this makes my blood boil labelling care leavers. Your human rights were taken away from you. You should of sought legal advice immediately. I would be challenging this to the death and having a legal team revisit the plan to see if this was done in error of judgement. Don’t label care leavers. They had no choice in their upbringing and when in care they should have had the best upbringing and the best care to pass on to their children. I’ve always been a good parent. When on a relationship I realised that the dad’s behaviour was inappropriate to the children and he wasn’t able to keep them safe. He went. After a while he sort custody. I phoned social services for help to protect the children. And that’s where it all went wrong. Well done Melissa for overcoming the obstacles and it is so disappointing to learn of the poor support that you got from your unborn child’s social worker. Judging from what I have seen from my own professional experience, I believe every word of what you have written (and I have felt disgusted at the attitudes I have come across). It almost feels sometimes that it is a foregone conclusion that you are not going to cope and there is suspicion and disregard for your potential to be a good parent. It is almost expected that you could not possibly cope or not go on to repeat the experiences you had in your own childhood, when there is plenty of evidence that many parents do not repeat bad childhood experiences. Also I note that not every young parent who has been in care is even lucky enough to get the advocacy and support that you received from Sophie and are left to cope with major issues such as the threat of legal proceedings hanging over their heads whilst pregnant, with little opportunity to get advice or support from their solicitors. I have also observed that many young mums feel just like you did and hesitate to pick up and cuddle their baby when s/he is born, for fear of becoming attached only to lose their baby to the care system. State intervention is meant to promote and not destroy attachment processes, but that is exactly the effect it can have. Even the support after giving birth is shoddy. There is so much that needs to be done to challenge the way things are in children’s services with the lack of adequate support, overhauling of financial provision and helping young mums set up. After all children’s services were the corporate parent, so why shouldn’t they dip in their pocket and pay for some of the things that you might need. What do most young mum’s get from their birth parents and families in general, so why should you not be able to ask for the same help and it is not a privilege of the few but a basic right to enhance your capacity to provide what is needed for your baby. Placing you and your baby in a specific mother and baby placement costs £1000s, so why not find cheaper and better solutions with a starting point being that they should make sure you have everything you need to set up a nice clean, warm home with all the necessary equipment and furniture you are going to need. In fact a couple of weeks of the money the LA would have paid for a mother and baby foster placements should cover probably the entire expense of what you would need and more. It is totally unacceptable that you needed to have an advocate to argue for you when you have social work managers spending £1000s on the placement that you were in. @Chris- unfortunately you have got the basic factual information wrong, something that I see done in social worker reports over and over in the cases I now support. Melissa clearly states she was nineteen when she became pregnant, not 14 as you said. That the worker’s response was more appropriate for a young person than an adult is no excuse. And time and again I see social workers refusing to correct such errors, but instead labelling the client as difficult for pointing out the faults. I agree with Destiny, when I was a social worker I would see colleagues from “a fairly perfect family” background taking the controlling route over what are normal life issues, instead of the support route we were supposed to be there for. I hope this film is seen by all social workers and Cafcass officers, and that professional best practice is steered back to helping vulnerable families not pulling them apart. A family support worker and a social worker or anyone for that matter should NEVER use the words ‘ your child could be taken off you’. NEVER. It is a threatening statement to make and a frightening one to a parent. Majority of the time SW practice is very defensive and risk averse and you are covering yourself. Well done Melissa for seeking support of workers who advocated your case. i had a similar experience recently with my care leaver, not enough support is given to young mothers in the care system to enable them to look after & care for their babies, a mother’s needs have to be met as well & they are traumatised again by the process they have to go through!